Secondary containment, protection and security for the primary container, chemical pump and site glass in one complete, totally enclosed portable package. Allows for the possibility of total recovery of expensive product in case of primary container failure, pump leakage, or site glass damage. e.g. no contamination to product due to rain water, snow and outside elements, animals etc. Eliminates associated costs like vacuum truck expenses and disposal fees. Portable and simple to relocated. 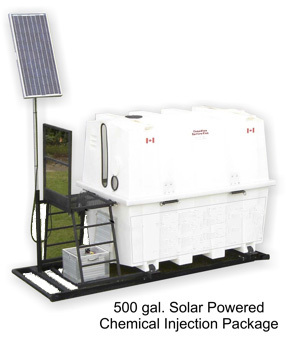 Allows for the use of low-cost, single wall repairable tanks steel, plastic or fiberglass construction. 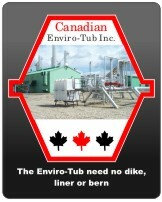 Most importantly, Canadian Enviro-Tub is a leader in environmental protection. We do not just meet the environmental G-55 guidelines, our product exceeds them. At Canadian Enviro-Tub you not only save money, we believe you should have the complete environmental protection you paid for.